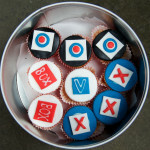 I had an interesting visit a couple of days ago from George the co-owner of Vox Box. It wasn’t actually interesting until I saw a completely alternative version on their blog. He had a rather strange request wondering if I had a copy of the Love album “Black Beauty” on vinyl. Funnily enough I didn’t and on quickly checking I couldn’t find one to order for him. I’ve since found it new on Discogs. Anyway a little hesitant he then asked me if I would be interested in being on a map of all the record shops in Edinburgh that I could hand out in the shop. I said that was no problem and in fact we had done a similar thing three or four years ago. He went on to explain there was now a map of all the charity shops selling music which he clearly wasn’t happy with. I said I’d not come across it. He mentioned how ridiculous the Grassmarket markets had been last year with a guy from Glasgow being allowed to set up a large stall at the last minute and not go home until 8pm. I remembered the guy as there had been three record stalls within a short distance of my shop including George. I repeated what I had said last year that if I had my way I wouldn’t allow stalls to come in on three of the best Saturday’s of the year paying a fraction of the costs shops had to take business from shops that would have the same overheads on a rainy Tuesday in February. I would of course welcome another record shop in the Grassmarket as that would bring people in as had happened in Cockburn Street before the demise of FOPP. After last year’s experience when other markets were tried which mainly then consisted of traders repeating what was already on offer be it records, vintage clothing or juice it was decided by the Grassmarket BID committee of which I am not a member that this was unacceptable. There was I’m told even a guy selling jokes near the joke shop which funnily enough the owner thought was no joke. I also certainly didn’t object to jazz and blues being sold at the Jazz and Blues Festival either. I explained that record shop etiquette would dictate that a fellow shop didn’t turn up with a stall like this and I knew George knew what I meant as he had come to see me when running a record fair in The Lot to ask if I minded. I’ve said before should an opportunity arise to take a stall on the Mound how ridiculous would it be for me to sit outside Coda selling folk CDs. George mentioned he took no part in any of the online stuff so I told him I had listed VoxBox in my blog as one of the Scottish Record Store Day shops for local bands to contact http://www.avalancherecords.co.uk/2013/05/23/scottish-record-store-day-shops/ though if they were to support Scottish music fully they would need to mention more than PAWS and a few local labels in their blog. I also asked why I’d read twice that they weren’t stocking the SAY award winning album from RM Hubbert on CD (waiting for a vinyl that is not being repressed) but recommending customers bought it from Chemikal Underground. Chemikal had given shops a great price so it could be sold for a fiver so I was baffled. George confirmed they did of course stock CDs and was unsure why they hadn’t got it in but was sure they had stocked the other nineteen nominated. I also repeated what I have always said that it was not the intention of the original RSD to include second hand shops but the powers that be now wanted them in to hide how few new indie shops were left. George said they carried maybe a hundred new things but only two at a time. RSD is supposed to be a reward for shops that support new releases and bands week in week out as highlighted in this year’s speech which again George confirmed was not their policy. He did say on reflection their social media didn’t really reflect they sold new stuff at all and he would “have a word” with Darren about improving on that. As for RSD it is very specific as to what is included and there is no such thing as an “Unofficial Record Store Day” release. That is simply another phrase for cashing in on RSD while not actually being part of it and it happens all over of course. RSD has now been copyrighted to try to stop others cashing in but what are they going to do ? Sue ? Shops had been asked to only support official releases. I mentioned to George if they were taking part they should be aware of this. At this point I have gone to the VoxBox blog so readers could compare and contrast the above with the two blogs therein but I have found this. I said my piece and stand by the content posted on this page earlier as true (and the following page too). This was an honest and public response to an attempt to bully and intimidate record stall holders as well as to address repeated comments made against our shop which, in my opinion are slanderous. In the interest of avoiding negativity on the website, I have taken both of the posts down. Some of the above of course would make more sense in the context of the VoxBox blog but it will do ! Now I did ask Darren on twitter if he had shown his comments to George (as I couldn’t believe he would have allowed them) as they were full of inaccuracies and lies. I also asked for an apology. Darren confirmed George had seen them which I found hard to believe simply because they were so ludicrous. One of the more innocuous claims for instance was that I’d said they didn’t know who RM Hubbert was ! Every single point was incorrect and he kept quoting me despite of course at best only hearing things second hand. His finishing quote was an outright lie. I was going to suggest those who know George ask him to confirm the above as true but it would seem he may have already dealt with this. I can assure you all the positivity about record shop maps etc had been omitted as had any context. To be honest I’m getting fed up with having things said that are easily disproved but will embarrass those concerned if I do. It is therefore a relief that Avalanche will be moving on into a new era. Something I have been working towards for the last two and a half years and to be honest thought would be completed well over a year ago. I really don’t care what others think as many of you have commented sometimes in a nice way and sometimes not ! I know my motives are simply to get the best music we have from Scottish artists to as many people as possible all over the world. It is not lost on me that those outside of Scotland often see this more clearly than those closer to home though it has to be said that the support I have received from bands, labels and customers locally has been the reason we have managed to reach what is hopefully a turning point. To all of them I am extremely grateful.